From the Betty Boop collection by Westland Giftware. Betty Boop 1980s Mini Figurine. This Item is in stock and ready to ship. 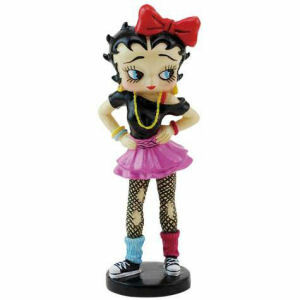 You should not postpone your purchase and miss out on adding Betty Boop 1980s Mini Figurine to your Betty Boop collection! From the Betty Boop collection by Westland Giftware. Betty Boop 1980s Mini Figurine. Figurine measures 2.5 inches tall. 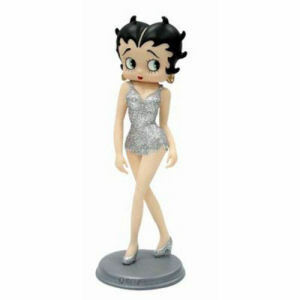 Westland Giftware Betty Boop Figurines shipping from Canada. No Surprise Border fees or Customs!